Penned over the course of a 15-hour return flight from Europe, writer Peter Best shares the honest account of how he skirted (or dove headlong into) a defining crisis. Anyone Can Do It seeks to convince the first-time traveler that its title rings true: Anyone can take the journey of a lifetime. 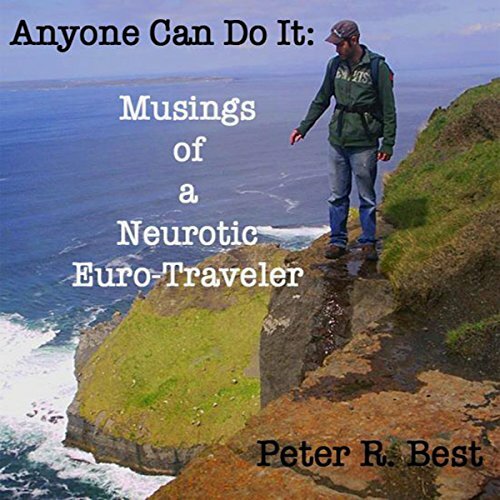 Part how-to travel guide for the novice and part stream-of-consciousness narrative from a self-proclaimed neurotic, Anyone Can Do It will take you to Ireland, Spain, France, Holland, Germany, Switzerland, Italy, and Greece over the course of 60 days. This euro-trip also slings back and forth through time and space and even sets foot in a few quirky, anxiety-induced dreams. Those seeking escape, perspective, encouragement, and fulfillment need to hear this account. Enjoy this fantastic travel book by the not-well-traveled. It shows that people are just as important as the sites on an adventure. And you can save on blinks by listening at 1.5x speed!